Managing in the Swedish League since way back in 1988, Andersson was handed his big break as national team boss having lead IFK Norrkoping to the Swedish title against all the odds in 2015. A shrewd tactician whose speciality is creating a whole which is greater than the sum of its parts, Andersson has slipped seamlessly into his new role. Having already defied the odds, in qualifying for the tournament at the expense of Holland and Italy, Andersson will no doubt have his eye on more big-name scalps at the tournament itself. 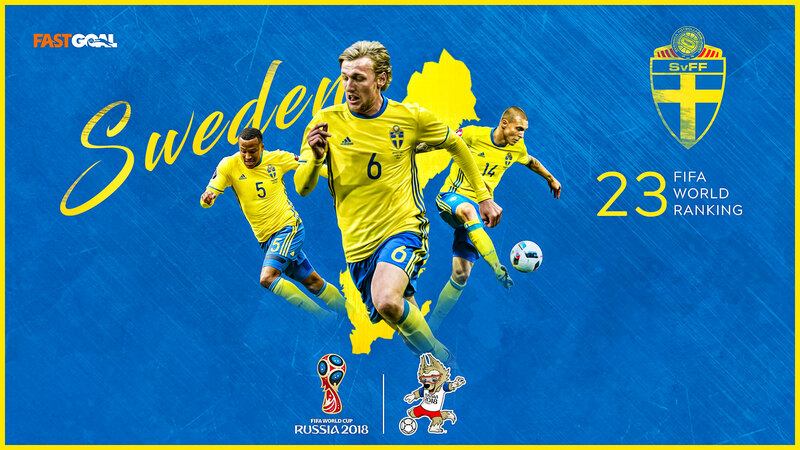 Something of a transitional period for Sweden's national side, with a marked change in tactics following the international retirement of Zlatan Ibrahimovic in 2016. The stereotypical Swedish player is now hard-working, technically proficient but not spectacular, and above all else, disciplined. In this way the side they perhaps have the most in common with is fellow Scandinavian outfit, Iceland. One of Sweden's major strengths is the fact that they can be extremely tough to break down when they put their minds to it. This was nowhere better illustrated than when stifling an Italian side in the white-hot heat of the San Siro. Andreas Granqvist played like an absolute titan at the heart of the defence that day and will be hopeful of carrying the same form into the tournament itself. He will be partnered by Victor Lindelof who may not have quite settled at Manchester United but remains a high-class operator at international level. Seb Larsson and Emil Fosberg are the creative influences from midfield, whilst up front Ola Toivonen plays off main target man Marcus Berg who top scored in qualifying. You have to be a pretty decent player to top the Bundesliga charts for assists. That is exactly the feat Fosberg achieved though and following the departure of Zlatan, it is he who is the key creative influence in this Swedish outfit. His classy passing from the middle of the park make him stand out from the crowd in this otherwise industrious side, and the vast majority of Sweden's best attacking work flows through him. It would be a huge shock were Germany not to come out on top in this Group, and with South Korea looking booked for fourth, the battle for second place looks to be a straight shoot out between Sweden and Mexico. Sweden appear significantly less likely to be battered by Germany than Mexico and as such may only need to draw with El Tri in the final group game in order to progress. That just about makes them favourites for second spot and we fancy this well drilled outfit can just about do enough.